Vaganova Ballet Academy. The Nutcracker. 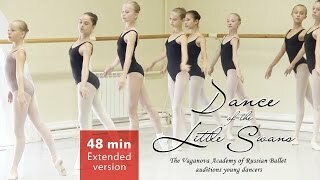 PERFORMANCE BY THE VAGANOVA BALLET ACADEMYnTHE NUTCRACKER (Act I).nMusic by Pyotr Tchaikovsky.nLibretto by Marius Petipa after the tale by E.